Pursuit of Excellence is a Dallas-based company founded in 1994 by Ms. Marie Diaz. 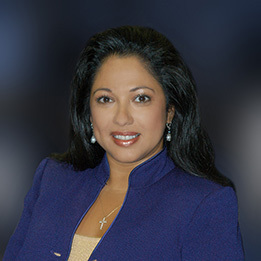 While independently working with Fortune 500 companies as an Organizational Development Consultant and Coach, Ms. Diaz in 1997 incorporated and expanded her business into a full scope of human resources offerings, including: HR Risk Management Consulting, Organizational Development and Training, Payroll Processing, and Employee Benefit Administration and Recruiting. “Our time effective HR Success Systems have positioned Pursuit of Excellence as an industry leader today and well into the future” according to Ms. Diaz. Currently business owners, executives, leadership, management, sales people and other professionals around the world use Pursuit of Excellence success processes to improve HR risk management compliance, leadership performance, and business processes to help manage their most valuable asset: their employees. While being a strong advocate for small business growth and entrepreneurship, Ms. Diaz is very passionate about the growth and success of her community, the people who make it a success and, most importantly, helping others succeed. © 2002-2018, Pursuit of Excellence, Inc.